For the finest quality available do turn towards the Travis & Wells™ laptop bag for your corporate gifts. Applications include high level executives, tech professionals and memorable promotional products. strap with comfort pad and back strap to attach to other luggage for travel. 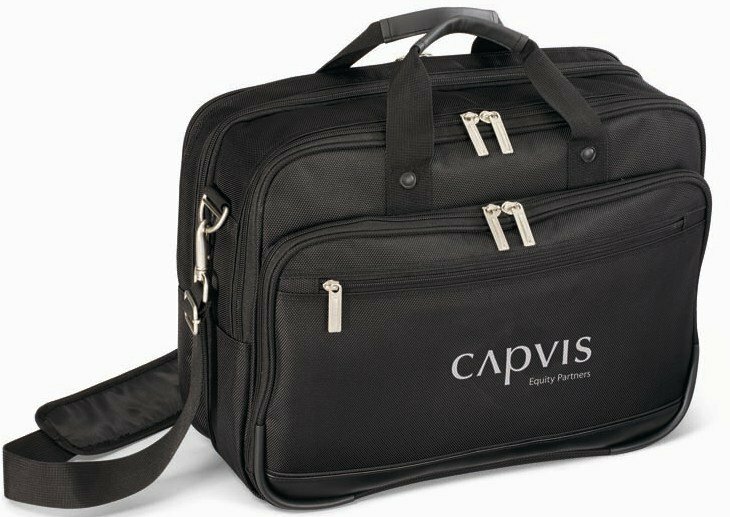 Overall size of the Travis & Wells laptop bag is 16 1/2" w x 13" h x 6" d.
Price includes a one color imprint on the front in an area 10" w x 4 1/2" h.
and up to 7000 stitches in an area up to 4 1/8" diameter.